This situation also raises questions about the assessment carried out by the banks before disbursing loans to the tune of Rs.46,000 crores to Reliance group. In the scheme of the Insolvency and Bankruptcy Code, the claims of operational creditors rank lower than the claims of secured financial creditors. But in the recent Reliance-Ericsson dispute, the unsecured operational creditor managed to upstage the financial creditors. Ericsson Indian Pvt Ltd, an operational creditor of Reliance Communications, has managed to claim nearly 50% of its dues by going through the IBC route while the Joint Lenders Forum(JLF) led by the State Bank of India are still groping in the dark to figure out means to recover their dues worth Rs 46,000 crores. This is despite the JLF, being a consortium of secured financial creditors, having preferential claims over Ericsson. So how did this bizarre turnaround happened? Ericsson had initiated insolvency process against RCom in NCLT Mumbai for its dues of nearly Rs 1150 crores. The NCLT admitted the application on May 15, 2018 and initiated Corporate Insolvency Resolution Process against three Reliance companies :- Reliance Infratel Ltd, Reliance Telecom Ltd and Reliance Communications. Moratorium was declared overReliance assets and interim resolution professional was appointed. This order of NCLT was challenged before NCLAT. Before the NCLAT, the bankers forum took a stand that they will not stand to gain from insolvency process. They pressed for stay of insolvency process and requested that they be permitted to recover the dues by selling the secured assets. Because of the moratorium of NCLT banks are not in a position to recover the amount and there is recurring loss of more than crores per day, the lenders pleaded. "Mr. Tushar Mehta, learned Senior Counsel for the 'Joint Lenders Forum'- ('Financial Creditors') submitted that they have reached an agreement with the 'Corporate Debtors' for sale of assets of the 'Corporate Debtors', pursuant to which,the 'Financial Creditors' can recover a sum of Rs.18,100 crores approximately. He further submits that on re-structuring and sell of assets, the 'Financial Creditors' can recover Rs. 37,000 Crores approximately"
The corporate debtor Reliance admitted the liability to Ericsson and agreed to settle the dues for Rs.550 crores. Ericsson accepted this settlement. On basis of these developments, the NCLAT passed order on May 30, 2018 staying the insolvency process and permitting the banks to liquidate the mortgaged assets. The sum recovered by sale of assets was to be deposited in the SBI for an on behalf of all creditors, subject to the outcome of the appeal. Also, Reliance was directed to pay Rs.550 crores to Ericsson as undertaken within 120 days. As a result of this, the erstwhile management of RCom continued in the saddle; the corporate insolvency resolution process was stayed until further orders; the financial creditors'/Joint Lenders' Forum was given liberty to sell assets of the corporate debtors and to deposit the amount so received in an account of the lead bank, i.e., SBI. After that, Reliance approached the Supreme Court, seeking to quash the insolvency process against it on the basis of settlement with Ericsson. The Reliance Chairman Ambani made a personal undertaking before SC to settle the dues of Ericsson by September 30, 2018. This undertaking was violated, leading to contempt petitions being filed by Ericsson, which culminated in order passed by the bench of Justices R F Nariman and Vineet Saran on February 20 holding Reliance companies guilty of contempt. 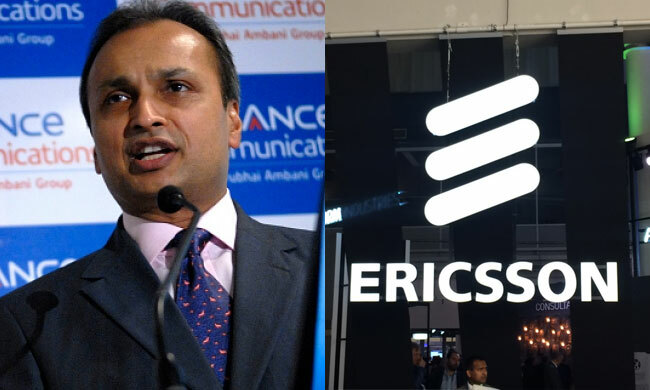 Anil Ambani was given four weeks time to pay the amount to Ericsson, failure of which would have meant three months prison for him. On May 18, a day before the SC deadline, Ambani paid the dues to Ericsson. Thus, Ericsson, which would have stood last in the queue in the insolvency process, recovered almost 50% of the dues. Meanwhile, what is the status of the banks, which had pressed for stay of insolvency process against Reliance on the ground that they have reached an agreement with Reliance for sale of assets expecting a return Rs.18,100 crores? Last week, the bankers forum drew the ire of the NLCAT bench, which orally remarked to the effect that they 'messed up', after noting that the sale plan turned out to be a failure. "You (SBI) have failed. JLF has failed. No sale took place. You clapped with RCom and claimed that you would recover around Rs 37,000 crore from sale to Jio. You cited losses of crores per day. You failed and now will seek to recover Rs 260 crore", the bench reportedly observed. This sharp rebuke came when the bench was considering an application by Reliance seeking a direction to the SBI to release the income tax refund of Rs.260 crores held by it to enable RCom to pay Ericsson. The lenders opposed this application stating that they have not been able to sell off the secured assets through the "asset monetization process" as per the earlier agreement with RCom. The NCLAT bench also asked why "proceedings against them (lenders) should not be initiated" for misleading the tribunal by giving a "golden outlook" to recover around Rs 37,000 crore from sale of assets to Reliance Jio Infocomm. In this regard, it may be noted that the SBI had informed Reliance in September last year that the lenders have no objection in RCom utilizing the proceeds from the proposed sale of spectrum to Reliance Jio to settle the dues to Ericsson. The SBI also clarified that no objection was expressed to enable "RCom to come out of the IBC proceedings". This letter issued on September 27, 2018 came to bite back SBI-led forum when it was used by Reliance's counsel in NLCAT last week to argue that lenders are estopped from objecting to release of the income tax refunds for paying Ericsson. The deal between RCom and Jio did not fall through, as Department of Telecommunications raised objections, and last Monday the cancellation of the deal was announced. Commenting on the predicament of the lenders, columnist Andy Mukherjee of Bloomberg said; "When a history of the early years of India's 2016 bankruptcy code is written, Ericsson's lawyers will deserve a glowing mention. For an unsecured creditor to walk away with a 48 percent recovery of its claim – while secured lenders wait patiently for RCom to sell its spectrum, redevelop its land assets and pay them something – shows that the Swedish firm played its cards well"
Now, with reports of RCom itself filing for insolvency, things are bank to square one, and the SBI-led lenders forum might be ruing their decision to opt for out-of-court restructuring of debts instead of insolvency process. This situation also raises questions about the assessment carried out by the banks before disbursing loans to the tune of Rs.46,000 crores to Reliance group.The lenders' consortium, which includes public sector banks such as SBI, Bank of Baroda, Canara Bank, UCO Bank etc., are bound to take depositors and taxpayers into confidence by chalking out a concrete plan to recoup these bad debts.